Nina Dürholt works as a Marketing & Recruiting Specialist in the HR Department at RWE Supply & Trading. She is managing all Graduate as well as the German Apprenticeship Programmes. In addition, she is responsible for university marketing. She closely works with the business to ensure the programmes are aligned properly and helps finding the most suitable candidates to plan succession in all business areas. 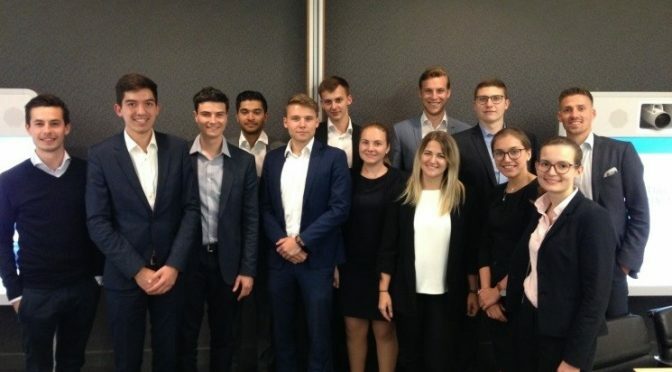 On 17th August 2018 12 students from Frankfurt School of Finance & Management visited us during their Investment Banking Trip through London. During their visit, Business Experts of RWE Supply & Trading gave an overview about Commodity Trading as well as a Trading Floor Tour to visualize the working environment of one of the leading European energy trading houses. Besides, Nina Dürholt, Marketing & Recruiting Specialist, was proud to present all 4 Graduate Programmes offered by the energy giant, whereas students were eager to learn more about the Finance and Commercial Graduate Programme. ”We not only want suitable candidates for our programmes, but people willing to develop and to make a difference. Such networking events are a win-win for both sides. 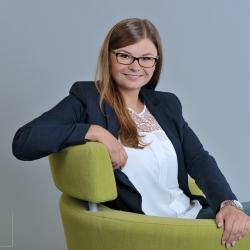 We get to know potential graduates, and they can make up their minds if RWE is the right fit for them”, said Nina Dürholt, responsible for all Young Talent Programmes at RWE Supply & Trading. Furthermore, the students had the chance to talk to former and current graduates working for RWE Supply & Trading so as Sascha Weissig (left on the picture). He is a former graduate and now working in Portfolio Management. He studied at Frankfurt School of Finance & Management and started his early career within the Commercial Graduate Programme. “The fact that more than 80% of all the Graduates we ever had are still with our company makes me really proud. This is a great proof that all the effort pays off and that the concept is right”, said Nina Dürholt. Sascha then stayed with the company after the Programme has ended. So, students got the chance to hear about very personal experiences and get to know business experts and potential peers in the first place in a casual and unforced atmosphere. The HR Marketing & Recruiting Department of RWE Supply & Trading thanks all for their participation and interest. With the option to rotate into a wide range of exciting and stimulating areas, all our graduates carry out diverse and meaningful work throughout their two years Graduate Programme. You have control over your journey and although we will guide and support you in whatever path you take, you can be assured there are many different career avenues in all parts of the energy value chain where you can add value and make a difference. Have a look at some of our current graduates at RWE Supply & Trading sharing their experiences so far and giving valuable advice to students who want to apply. Are you interested? Visit us on the Career Day on 7th November 2018 in Frankfurt or have a look on our careers website for the details of the different programmes and further information on how to apply.